As medical professionals, you understand the value of phone calls. Your telephone is the lifeline of your business – appointments are set, inquiries are made, and appointments are confirmed or shifted. Over 70% of callers to medical professionals are placed on-hold. The average hold time is over 40-seconds, making this a perfect opportunity to communicate, educate and impress your patients with a Telephone On Hold music and messaging on-hold solution. A properly created on-hold campaign will complement all your office's external marketing efforts; from radio and TV to print and social media, it will all come together with a timely, impressive program written just for your medical office and updated on your schedule. Whether they are calling for an appointment or an initial treatment inquiry, you can “wow” them with an amazing on-hold experience. Reinforce the benefits of regular exams, available cosmetic options, doctor training, and much more! Who you are, including doctor(s) education, background, and hobbies. Describe your specialties such as surgical and non-surgical offerings and injectables. How can they find you? Not just your offices but online – your website & social media addresses. How often should a patient visit your offices? When are your offices open? Why should a patient choose you? Offer patient testimonials, mention your patient referral services. ​How will your patients benefit from choosing you? 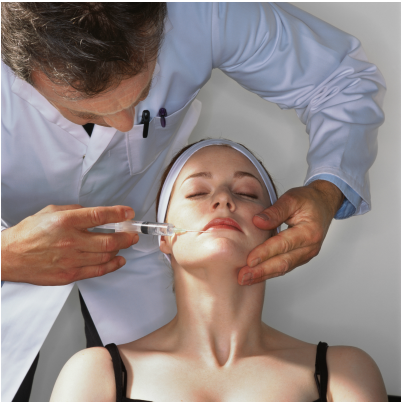 Promote your in-office cosmetic procedures such as Botox or Restylane. Turn your on-hold button into a practice builder with Telephone On Hold! Call today to learn more about the Medical On-Hold Profit System: 866-359-4653. As well, learn more about the medical on hold messaging process and hear more demos by visiting OnHold.com's medical on hold messaging page. Whether they’re anxious because they haven’t visited a doctor in years, are worried about an upcoming procedure or are concerned about finances, medical music on hold messaging will ease your callers’ anxieties. Offer a patient testimonial. Mention your patient referral program. Talk about your free initial consultation for new patients. Medical music on hold messaging will spread the word. Tell patients about your doctor(s) background or hobbies. Let them know about your specialties such as allergy and immunology, geriatric medicine, cosmetic services, etc. Provide your website information, Twitter, Facebook, or Instagram information. Be sure to mention if you run any specials or promotions to increase social activity. Offer at-home tips for a healthier lifestyle while promoting your nutritional consultation services. Call today to learn more about the Medical On-Hold Profit System: 866-359-4653. Cold and flu season is one of the busiest times for medical offices. Remind callers to schedule or come in for their flu shots – let them know the benefits of protecting themselves and those around them. Encourage callers to use up their insurance or flexible spending benefits before the end of the year. Spring is prime time for allergy season – encourage callers to see their physician for allergy medication or testing recommendations. You might even discuss housecleaning tips to help with allergies. Do you offer aesthetic services? This is a great time of year to remind patients! As Summer is typically a bit slower, encourage callers to schedule their annual checkups. Children should be scheduled for their yearly wellness check as well as any vaccinations required before school begins. School sports are starting up – remind your callers to book their child’s sports physical. Remind callers to use their insurance or flexible spending benefits before the end of the year. Offer tips for keeping kids safer while playing football, hockey, or basketball. Trusted by thousands of medical offices. We'll keep your patients calm while on-hold. We learn about your medical office via a comprehensive phone interview and by visiting your website. What procedures do you offer, office technologies, doctor(s) background, training, and more? Financing options, cancellation policies too! Our creative department will write a custom script (approx. 900 words) for you to review and approve. This will brand your office while it tactfully markets available (cosmetic) procedures and other lesser known services. It will also calm patients and allay financial fears.